It cannot be determined from the given information. A little kid throws a ball horizontally off a cliff, from 20 meters above the ground below, and it hits the ground with a horizontal distance of 5.0 m from the cliff. The ball is thrown horizontally so the initial velocity is purely in the horizontal direction (and zero in the vertical direction). The time it takes for the ball to travel in the horizontal direction is the same as the time it takes to travel vertically. The path of a projectile that has an approximate parabolic trajectory from point A to E is shown below where A and E are on the same horizontal plane (and B and D are on the same horizontal plane). Neglect air resistance. The total velocity is constantly changing due to gravity accelerating the projectile at ±9.81 m/s2, in the vertical component. The vertical velocity (Vy) is always changing direction and magnitude, due to the constant influence of gravity's acceleration in the vertical direction. The vertical component of velocity is 0 m/s at point C.
There is no acceleration in the horizontal direction. Velocity is uniform in the horizontal direction. The horizontal component of velocity is constant, 5 m/s. The horizontal velocity (Vx) is constant! (It's the vertical velocity that changes due to gravity because it is in the same vertical direction as gravity. This vertical change is what causes the overall trajectory to have non-uniform motion, even though the horizontal velocity is constant). A toy rocket with no thrusters is fired straight (horizontally) at a target with an initial speed of 700 m/s. As the rocket travels through the air towards the target, it drops a vertical distance of 0.05m from the centre of the target. The time it takes for the rocket to travel in the horizontal direction is the same as the time it takes to travel vertically. On Earth's surface there is always acceleration in the vertical direction, it's gravity! Acceleration equals zero in the horizontal direction because there are no thrusters and we can neglect air resistance, so motion is uniform. A ball rolls 10m/s down a hill angled at 30˚ to the horizontal and then off a cliff that's 25m high. Use trigonometry to solve for the vertical component of velocity. In this case, the vertical component of velocity uses sin (while horizontal uses cos, not shown here). v1 y is down and negative, since up is defined as positive. 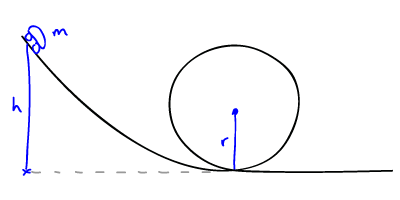 A projectile is launched in a parabolic trajectory at an unknown angle from the horizontal, and lands 100m horizontally from where it was launched. The quantities have opposite signs because they are in opposite directions. Since there is gravity acting in the vertical (y-component) direction, then it is non-uniform. Since there is no acceleration in the horizontal (x-component), then the motion is uniform and d = vt.
A PGA golfer can hit a hole-in-one shot from the fairway a certain distance from the green, and 20m vertically above the fairway. Lets say the golf ball leaves the club at 70 m/s at an angle of elevation 65˚ to the horizontal. It helps to split the motion into two phases, with the separation located at the horizontal line level with the plane of the green. A baseball is projected downward at 10 m/s from 12m above the ground at the same time that a golf ball is released from rest from 10 m above the ground. The balls travel vertically and this question neglects air resistance. When the balls meet at the same horizontal plane in the air, their distance above the ground and time travelled will be the same for each ball. distance until balls meet = x + 2 Make an equation ① for distance the golf ball travels until the two balls meet Make an equation ② for distance the baseball travels until the two balls meet Set ① equal to ② with your distance variable, the x's... Use the time to find the distance the golf ball travels with ① Therefore the balls will meet once the golf ball has travelled 0.2 m in the air. A soccer ball is kicked into the air and down the field at 20 m/s with an angle of inclination of 35˚ to the horizontal. 2 seconds after the ball was kicked, the receiving player drops a piece of gum out of their mouth, from rest, 1.6 m above the ground. At some point in time, the soccer ball and the gum meet at the same level. The ball and the gum will meet at the same total time, and will meet at the same distance travelled. At the 2 second point the distance above the ground is the same for both, and the time travelled until they meet is the same. The ball and gum will meet after the total time elapsed is the same and the vertical distance travelled is the same. Starting at the 2 second point, the ball and the gum will meet at the same time, and will meet at the same distance above the ground. At the point where the ball and gum meet, they will be the same distance above the ground. At the point where the ball and gum meet, the same amount of time will have elapsed. At the 2 second mark, the soccer ball will have a vertical velocity downward while the gum will have zero initial velocity. You know that objects accelerate when the speed changes, but did you also know that an object is technically accelerating when the speed is constant and the direction changes? For instance, an object traveling at a constant speed while changing direction in a circular path, would be considered as accelerating. A parent is pushing their child in a stroller, with a total combined mass of the child and stroller of 30kg, and with an applied force of 100N at an angle of depression of 40˚. The magnitude of the normal force of the ground on the stroller is equal to the force of gravity on the combined mass of the child and stroller plus the vertical component of the applied force. You don't need the mass, because it will eventually cancel in your equations. Resolve the components that oppose on either side. Mass will eventually cancel in the equations. A basic 2000 kg transport helicopter has a maximum thrust of 60 kN, and is carrying a 500 kg crate of survival supplies for an outpost research community with an inextensible, heavy-duty steel cable. At rest, the tension force is equal and opposite the force due to gravity of the crate. (Define up as positive). Objects moving in circles, whether velocity is constant or not, are always accelerating. A car with a mass of 1,400 kg drives around a flat curve at 72 km/h. The curve has a radius of 100m. A car with a mass of 1,800 kg drives around a frictionless banked curve with a radius of 120m. The angle of inclination of the banked curve is 12˚ from the horizontal. How many of the following are vector quantities? Speed, distance, time, velocity, acceleration, displacement, distance, and force. (note that vectors have direction, whereas scalars do not have direction). A jogger runs a 10km lap in 1 hour. Are the average velocity and average speed the same? State the vertical component of velocity of a 10m/s projectile launched at 40˚ to the horizontal. Assuming negligible air resistance, a bowling ball and a golf ball dropped from the same height would land at the same time. (Since distance, v1, v2, and acceleration are the same, then time will be the same. Mass does not matter). Neglecting air resistance, the horizontal velocity of projectile motion (vx) is constant. Can this formula be used for acceleration (non-uniform motion)? No, this formula is used when velocity is constant, or in other words when there is no acceleration (uniform motion). Displacement is the area underneath the curve, or function all the way to the x-axis. This (FN = mg) would work for an object sitting on a table for example. But if an applied force (FA) is present with a vertical component, then the normal force will be the net resultant of weight (mg) and the vertical component of FA. What is weight? Can objects in space be massless? Weight is the force due to gravity. No, massless is an incorrect term. Objects in space do not experience gravity and are considered weightless, even though they have do have a mass. An object in motion or at rest will remain in that state unless acted upon by a net force. The acceleration of an object is directly proportional to the net force and inversely proportional to the total mass. For an object moving along a conveyor belt, or an object being transported forward on the floor of a car, describe the direction of the force of friction. For a stationary object on a moving conveyor belt or car, the force of static friction (Fs) is in the same direction as the movement of the conveyor or car. The normal force opposes the y-component of the force due to gravity, Fg (y). An object traveling at a constant speed in a circle experiences what force? When net force equals zero. For a vehicle in circular motion, what two quantities must be equal for the vehicle to travel at a maximum velocity while not slipping? The centripetal force (Fc) must equal the force of static friction (Fs). For a vehicle traveling around a banked curve, in what direction is the centripetal acceleration (Ac) directed? Directed into the center of the radius of curvature, which in other words is like the center of the circle. Describe the total energy of the system in terms of potential energy and kinetic energy, at the top and bottom of each situation. The 'instant' before the object hits the ground, it has an instantaneous maximum velocity. This question can either be solved with energy or kinematics. An object is travelling in space with an initial velocity of 25 m/s. First calculate the compression of the spring, then calculate the spring constant. A 5 kg ball rolls down a frictionless hill, which is inclined at an angle of 20˚ to the horizontal. The ball starts rolling from the top of the hill - a vertical height of 10 m. The ball collides elastically with a 10kg block resting at the base of the hill causing the block to move at 9.33 m/s. The total mechanical energy is conserved as the same magnitude at every point during the fall. At each point, the sum of the potential energy plus the kinetic energy is the same magnitude. Are the units for kinetic and potential energy the same? What is the following equation? A rollercoaster moving with velocity at the top of a loop would have total energy expressed as what equation(s)? A rollercoaster that has the minimum speed necessary to remain on the track at the top of a loop has what normal force? How is power calculated and what is the unit of power? Power equals the change in energy divided by the change in time. A force is exerted 90˚ to a distance. Describe what the work is. Momentum (p) is conserved for both elastic and inelastic collisions. An explosion is what type of collision? In conservation of momentum equations, does the sign (±) on the velocity matter? Yes, it is important to define a positive direction and maintain proper positive and negative velocities. What is the unit for momentum (p)? How are momentum and impulse related? When is kinetic energy conserved? What must be equal to zero for momentum to be conserved? A simple pendulum has a period of 2.0s and an initial displacement of 0.04m. At a later time, the amplitude is reduced to 0.03m. Does mass affect the period (T), or frequency (f) of a pendulum? What are the units of spring constant? What is the difference between displacement and amplitude in the periodic motion of a pendulum or spring? Amplitude is a constant referring to the maximum displacement of a particular harmonic event. Displacement is a changing quantity based on the location of the spring or pendulum at a certain instant in time. What is angular frequency (ω) and what is the unit? What is the unit of angular acceleration (α)? Why does Hooke's law have a negative sign? The negative sign indicates that the spring force (Fs) is a restoring force directed back towards the original equilibrium position. What is the difference between the spring equation for kinetic and potential energy? At what point is the maximum velocity located in the SHM of a spring or pendulum? At what point is the maximum acceleration or the minimum velocity located in the SHM of a spring or pendulum? At the points of maximum displacement (the amplitude). Mega (1.0 × 106) is the next factor of 1,000 greater than kilo (1.0 × 103). U = mgh is an approximation that can be used only near the surface of the Earth. For high Earth altitudes and in space, the equation must be used. The object only has Fc when the it is rotating in an orbit, tangential to the Fc. Since an object thrown straight up is not moving tangential to the Earth, then it does not have a centripetal force. The gravitational constant is the same anywhere in the universe. It is used to convert units of mass and distance to a force. Many people confuse the force of gravity with the estimation of gravity at the Earth's surface, g (-9.81 m/s2). The force of gravity (Fg) is in units of Newtons (N). Fg depends on two masses (M1, m2), the universal gravitational constant (G), and the square of the radial distance (r). We know the gravitational field strength near the Earth's surface to be -9.81 m/s2. The units of gravitational field strength are m/s, ms-1 or Nkg-1. Note: Gravitational Potential (V) is equivalent to Potential Energy (U) per Unit Mass: Energy/Mass. The acceleration of an object is proportional to the force acting upon it. Most people think the orbit is a perfect circle, but this is not the case. Extreme examples of elliptical orbits can be observed in the orbit shape of comets. Kepler's second law: A line joining a planet and the Sun sweeps out equal areas during equal intervals of time. Since the orbit is elliptical, the speed of the planet changes when it is in different parts of its orbit. Set the force of gravity (Fg) = centripetal force (Fc): Write an equation for the speed of a circle (approximation: Substitute this velocity (v) into equation ① Kepler's third law: The square of the orbital period of a planet is directly proportional to the cube of the semi-major axis of its orbit. Note that the only mass in the equation is for the central gravitational body. The mass of the projected object is irrelevant to orbital velocity. We pull out the square root of 4 as 2. Compare maximum mass/radius ratio of a planet that the rocket can leave and escape. Can escape when planet's M/R ratio is less than 7.493 × 1017. The rocket ship cannot leave Earth because the escape velocity for Earth is 11,155 m/s, which is higher than 1.0 × 104 m/s. The mass used is always the central body, in this case it's the Earth. Mass of the object in orbit is irrelevant in determining gravitational field strength. Note the units of 'g' can also be stated as (N/kg). V at the meteoroid equals zero when VSun = VEarth. Let d be the distance from the Sun to the Earth. Let x be the distance from the meteoroid to the Earth. As the satellite moves closer to the center of mass of the Earth, the radial distance (r) gets smaller, and the force of gravity (Fg) gets stronger. The stronger force accelerates the satellite towards Earth, so velocity (v) increases. The satellite will not make it high enough to medium Earth orbit. The positive test charge will move towards the stationary -0.58µC charge. So if the charge is placed [N 40˚ W] then it will move towards directly (parallel) in the opposite, [S 40˚ E] direction. The force to the left is stronger. Therefore the -6µC charge will move to the left. Determine the directions the charges will push qB. FA push right, FC pull right, FD push left. Vectors depend on direction, while scalars do not. Electric field is a vector, so use proper vector addition. The electric field points away from the positive charge, and towards the negative charge. At the midpoint between a +30µC and -10µC charge, the electric field is pointing in the same direction, therefore the absolute value (magnitudes only) of the fields add. E field is a vector. Electric force is a vector quantity so we must use vector addition. Electric potential (V) is a scalar quantity, so we can simply add and subtract without vector addition. Energy is conserved, think about which two equations to set equal. The density of magnetic field lines is directly proportional to the strength of the magnetic field. Although light is an electro-magnetic wave, the magnetic component of light is not to be confused with magnetic field lines. The right hand grip rule is used for the flow of positive charges (conventional current) in a current carrying wire. The fingers point in the circular direction of the magnetic field. The thumb points in the same direction as current, and the fingers indicate the direction of the magnetic field. Point the thumb into the page, and notice the fingers wrap around in a clockwise direction. Above the wire, the magnetic field will point to the right. Note that the Right Hand Rule would be used for the direction of movement of a negative charge. The Right Hand Rule would be used for the direction of movement of a negative charge. (Note that this is not the same as the Right Hand Grip Rule). Force equals zero if the angle between charge velocity (v) and magnetic field (B) is zero. As theta increases from 0˚ to 90˚, the value of increases. Therefore the maximum force is experienced when the angle between the wire and magnetic field is 90˚. The uniform magnetic field (B) is represented with the large arrows below. Two current-carrying wires in different directions are represented by the gray circles. You can see the resulting forces are shown in blue. Changing the direction of the current in a uniform magnetic field changes the direction of the force (in blue) changes. An electromagnet is created by an electric field (B). For a solenoid with n turns, i current, and L length: As you can see, the magnitude of the magnetic field (B) is directly proportional to current (i). A 1.67 × 10-27kg proton is accelerated from rest through a potential difference of 12V. The charge was initially moving from the top of the page to the bottom of the page. The proton exits the electric field and enters a uniform 10mT magnetic field directed out of the page. The energy is conserved as electric potential energy (U) is converted into kinetic energy (KE). The magnetic force (FB) balances the centripetal force (FC). Use the left hand rule for positive charges. The index finger points out of the page, and the second finger points down. The force is directed to the left. This will cause the charge to rotate clockwise. Using the right hand grip rule, the magnetic field points out of the page at the center of the loop. A magnetic field generated by North and South poles is always directed from North to South. For an object in constant orbit, what two forces must be equal? be used for calculations anywhere in the universe, or just on Earth? What is the official term for gravity? What is the main difference between the force of gravity and gravitational field strength? The force of gravity (Fg) depends on the mass of the object in orbit, while the gravitational field strength (g) does not depend on the mass of the object in orbit—only the mass of the larger body, like a planet or star or something. How does gravitational potential (V) related to gravitational potential energy (U)? Basically that the orbit of every planet is an ellipse with the Sun at one of the two foci. A line joining a planet and the Sun sweeps out equal areas during equal intervals of time. Since the orbit is elliptical, the speed of the planet changes when it is in different parts of its orbit. Basically that a planet moves faster when it's closer to the Sun. The square of the orbital period (T) of a planet is directly proportional to the cube of the semi-major axis (r) of its orbit. Does the escape velocity depend on the mass of an object (like a spaceship)? Surprisingly no. The escape velocity only depends on the gravitational constant (G), the mass of the planetary body (M) and the radial distance (r) to the center of mass of the planetary body. What is a geosynchronous orbit (GSO)? Any orbit around the Earth that matches the rotation of the Earth. The orbital period is the same as the time for the Earth to rotate once. This results in objects that appear to have a fixed position over the Earth at all times. What is a Schwarzschild radius? This is the radius of mass that would result in the escape velocity (vesc) equivalent to the speed of light. A mass that light cannot escape from is a black hole. So it's the radius that would make a black hole, for a certain mass. Is a test charge always considered positive or negative? The magnitude of electric force does not depend on whether the charges are positive or negative. True. The magnitude of force does not depend on whether the charges attract or repel. If the radial distance (r) is halved, by what factor will the electric force (F) increase? A test charge is placed to the West of a stationary negative charge. In what direction will the test charge move? A test charge is positive and will move towards the stationary negative charge. What is the conventional direction for electric field lines around positive and negative charges? Electric field lines always point outwards from positive charges and inwards towards negative charges. What is the unit of electric potential (V)? What is the unit of charge (q)? What is the unit of electric field (E)? What is potential difference (V)? Potential difference (in Volts) is the energy (Joules) per charge (Coulomb) at a load like a resistor or lightbulb. What are the quantities in the given formula? Is electric field a vector or scalar quantity? If a charge (q) is moved a certain distance (d) in a uniform electric field (E), describe a situation where the work (U) on the charge is equal to zero. Describe how a uniform electric field (E) is typically created. A uniform electric field is formed between two oppositely charged parallel plates. The uniformity of the electric field is displayed with the parallel electric field lines from the positive to the negative plate. What is the unit of magnetic field (B)? Basically the magnitude of the magnetic field (B) is indicated by the density of the field lines. Although field lines can be either parallel or curved, the field lines can never cross. If the charge moves parallel (0˚) to the field lines. Do charges (q) only move in straight lines in a uniform magnetic field (B)? When a conductive material like some metals is placed in the core of a coil of wire called a solenoid, the magnetic field (B) accumulates in the material and creates a magnet when current flows through the wire coil. What happens to the magnetic force (FB) when a charge does not move? There is only a magnetic force when the charge has some velocity. Imagine the maximum magnitude of the magnetic field (B) around a straight wire. Now wrap that wire into a loop. Is the magnitude of the magnetic field (B) at the center of the loop higher or lower than the original field strength? The magnetic field (B) at the center of the loop is higher than any point along a straight wire. The magnetic field (B) always points from the north to the south pole. This is what coherent means -- that the light sources have the same frequency and are in phase with each other. This is significant when it comes to constructive and destructive interference of waves. The speed doesn't change, but wavelength and frequency do change. Amplitude must be the same so that total destructive interference occurs. Frequency and wavelength must be the same so that the crests and troughs can align. The path difference must be n multiple of ±(n)½λ. Destructive interference occurs where a crest overlaps a trough. (Constructive interference occurs where two crests overlap, or where two troughs overlap). Diffraction is the curvature of a wavefront (of any wave like light, sound, water) that occurs when the wave passes through a narrow opening, or aperture. The diffraction pattern looks like 'ripples in a pond' and can create interference patterns if more than one source is present. Thomas Young's experiment involved a monochromatic light source, projected through a single slit, then projected through a double slit. Huygen's principle suggests that a wavefront is capable of acting as a 'source' for new waves. As the light passes through a narrow opening, it diffracts in wave-like patterns. Each narrow opening, or slit is considered as a light 'source'. It demonstrates that light is not just particle photons, but that it also has properties of waves. This is a bit tricky because all of these factors area a little bit significant. However, there is one thing is more significant than the rest. Light has properties of particles (Einstein and photoelectric effect of photons) and waves. Young's experiment is the experiment that proves light has properties of waves! Distance (d) and path difference (pd) are same units. They don't need to be in any particular unit, as long as they are the same. Light waves with a path difference equal to an integer number of wavelengths (n wavelengths) will constructively interfere and create bright fringes on the screen. In the example given, the path difference is equal to 1 wavelength (1 λ). Fringes are not only bright regions. Dark fringes appear where destructive interference occurs between two waves that are a multiple of ½λ apart in phase (path). Dark fringes are between the bright fringes on the screen. Destructive interference occurs when the path difference is a multiple of ½λ. For light passing between two slits that are close together, y represents the distance from the central bright fringe to other fringes on a screen. The horizontal distance from the double slits to the screen is represented by x.
y is the distance between fringes on the screen. (Interchangeable: n is m, x is D). Hey, it's the small angle approximation! Destructive interference does not have to be total destructive interference. If the path difference is not exactly , then there will be some destructive interference but it will not be complete and some sound will still be heard. Huygen's principle suggests that a wavefront is capable of acting as a 'source' for new waves. As the light passes through a narrow opening, it diffracts in wave-like patterns. Each narrow opening, or slit is considered as a light 'source'. The light rays must be parallel to make calculations more accurate. This means controllable light sources (like lasers) are used rather than non-uniform sources (like the Sun). y is the distance from the central fringe to the nth order fringe. m is the fringe order number, or spaces between the central and nth fringe, (any non-zero integer). x is the distance from the slit to the screen. w is the width of the slit. Waves that destructively interfere are out of phase by an whole number multiple of +½λ or -½λ. Waves that constructively interfere are out of phase by a whole number multiple of +λ or -λ. 'Bright fringes' means use constructive interference formula. Huygen's principle suggests that a wavefront is capable of acting as a 'source' for new waves (wavelets). As the light passes through a narrow opening, it diffracts in wave-like patterns. Each narrow opening, or slit is considered as a light 'source'. Each slit or ridge in a diffraction grating acts as a new source. A greater number of slits allows for more destructive interference between bright fringes, resulting in bright fringes that are easier to see and tell apart (resolve) from one another (bottom of image). The diffraction grating behaves like 100's or 1000's of pairs of double slits. A prism is actually just refraction of light, rather than diffraction (with gratings). n is the fringe order number, or spaces between the central and nth fringe, (any non-zero integer). d is the distance between the slits. is the angle between the central axis and the wave axis. Thin films can create rainbow-like shimmer on some surfaces, like oil on water, or a surfactant like soap, on air. The thin film must have a higher index of refraction (n) so the phase shift, or path difference occurs when light enters a medium with a higher index of refraction, for instance from air into oil, or air into soap. The phase shift only occurs at the when the light goes from air→oil, or air→soap--not when light goes from oil→air or soap→air. Therefore only one of the reflected waves has this path difference. This is required for the different colors to be seen due to the different interference patterns. The reason is that thickness of the film varies. As the light refracts through the film and undergoes total internal reflection, the phase difference depends on the thickness of the film. Different thicknesses will cause different phase differences causing different wavelengths of light to interfere destructively. (note that destructive interference does not make colors, instead the colors are observed due to constructive interference). In thin film interference, some of the light will reflect off the surface of the medium, while the rest of the light gets refracted and internally reflected on the far side of the thin film layer. This creates a phase difference that causes constructive or destructive interference patterns. Antireflective properties are based on destructive interference. The thickness of the thin film determines the path difference and the wavelength of light that gets destroyed. Make a certain width or combinations of widths that can make certain light colors (wavelengths) have an amplitude of zero through destructive interference. Because the different colors we see are based on the thickness of the thin film. While this may look like the equation for destructive interference from previous questions (because of m + ½), this equation is constructive in thin films when one of the waves has a path difference of 180˚, or half a wavelength when reflecting off a higher-n medium on the top and no change on the bottom wave. This red light is created with constructive interference, so use that equation. The minimum thickness occurs when m = 0 Therefore the thickness of the film is 103.8 nm, or 1.038 × 10-7 m.
The equations are switched for antireflective coatings because both waves have a path difference of 180˚, or ½ wavelength because both waves are reflecting off a higher-n medium on the top compared to the bottom. Typically with thin films of oil on water, or soap on air, the film has the highest index of refraction (n), so n0 < n1 > n2. The pupil is the circular aperture in the eye that expands and contracts depending on the level of ambient light. The average pupil ranges in diameter from 3 mm to 9 mm. The Rayleigh criterion is the principle for determining the minimum resolvable detail between two things to be able to tell them apart. is the angle between the two sources, in radians. A is the diameter of the aperture (pupil). Small 'A' will increase the angle θ. Make units the same, in nm. Solve for y. (remember to put your calculator into radians). For small angles, with constant distance x, as increases, increases, and therefore y increases. Polarizing materials reduce the intensity of the incoming light. Only the first polarizer has the intensity reduced by half, ½ I0. All the next polarizers (2nd, 3rd... ) use the equation I = I0cos2θ. Light that passes through the first polarizer always is ½I0. For polarized light: The angle of incidence that certain polarized light transmits through a surface with no reflection. (Note that the surface must be a dielectric (e.g. glass, not shiny metal). n2 is the second medium, glass. No it is not possible because the light would have a final intensity (I) of zero. The Raleigh resolution equation must be in radians. (Fringe, Brewster's, and Polarization are all in degrees). How is speed of sound affected by temperature? Is the fundamental frequency also known as the first resonant length? What is the resonant length of an open air column and of a closed air column? To determine this, know that open ends have antinodes while closed ends have nodes at them. Can sound waves constructively and destructively interfere? What is intensity and what is the unit of intensity? Intensity is the power per area. As the source of a frequency approaches an observer, what happens to the observed frequency? The observed frequency increases (this is the doppler effect). How does the wavelength relate to resonant length? Higher resonant lengths have higher wavelengths. What theory does Young's slit experiment support? What is order number in a slit experiment? The order is the number of similar fringes apart from the central fringe. For example a third order bright fringe is the third fringe from the central maximum. For small angles does sinθ˚ = tanθ˚ ? Yes, this is called the small angle approximation. At small angles, the length of the hypotenuse is very close to the length of one side of the triangle. Is the speed of light constant in all mediums? Describe the polarization of light on the surface of water. As light reflects off the surface of water, the electric field is entirely polarized in the same direction horizontally. What causes thin film interference to display different colors? The small variance in the thickness of the film causes different interference patterns resulting in different visible wavelengths of light constructively and destructively interfering. This results in regions of colors. What quantity gets reduced as light passes through a polarizer? Diffraction is the creation of many wavelets from a narrow opening that acts as a single source. The resulting wavelets spread out in the shape of an arc. Two waves must have the same amplitude, and a phase shift by a factor of ½λ. The waves must also have the same frequency and wavelength. Does resonance require two objects to be in direct contact? The oscillation in a standing wave appears at the antinodes while the nodes of the wave remain at a fixed position on the axis of symmetry of the wave. Nodes are spaced apart by ½λ. What is a transverse and longitudinal wave? A transverse wave oscillates (amplitude) perpendicular to the direction of travel. A longitudinal wave oscillates (amplitude) parallel to the direction of travel. Two waves with equal amplitude and frequency have a phase shift of 540˚. How will they interfere? Basically that a wavefront is capable of acting as a 'source' for new waves, often at the point of a narrow opening. A proton and neutron have the same mass. Protons and electrons have the same magnitude of charge, with opposite signs! Neutrons are neutral (0.0 C of charge). More precisely, Planck's constant is 6.62606957 × 10−34, but you don't need to know that much detail. It's not easy to wrap your head around. Basically Planck's constant is the amount of Energy per Frequency for a photon (of light). Yup. The 'M' in 500 MeV stands for Mega, which is 106. The 'u' symbol represents the mass of a nuclear particle (proton and/or neutron). The mass of a proton and mass of a neutron are equal. This allows conversion between amu and binding energy. When the electron falls down to a lower level, energy is released proportional to the distance in energy levels, in electronvolts (eV). Beams or electron particles were directed through single and double slits, and each time, diffraction patterns were observed. This shows that matter can have wave-like properties! For instance, the diffraction of electrons (particles!) creates fringe patterns with constructive and destructive interference. This is interesting because it's typically thought waves that can do this, and not particles. The electrons moving very fast form a 3-dimensional cloud in the shape of a sphere. Increasing intensity increases the number of photons of light, and this can excite a greater number of electrons, but the energy of each individual excited electron will remain the same, there is no difference in kinetic energy. For a certain kind of metal, there is a minimum frequency for electrons to be emitted from the material via the photoelectric effect. As you can imagine, photons with a lower frequency will not be able to excite electrons in the metal. The work function (φ) is the minimum, threshold work (energy) required for an electron to be released from a metal material. The frequency of incoming light, hf ultimately gives the photoelectron its net energy. The whole equation is sometimes seen as A metal that releases electrons more easily in general, has a lower work function, φ. If the work function is higher than the energy of the incident light, then no electrons will be emitted. Different metal elements have different threshold frequencies. The minimum frequency is the threshold frequency = 2.0 × 1015 Hz. The electron is capable of jumping to any energy, depending on energy. In this diagram, there are 6 different possible changes. As electrons absorb energy, they jump up to a higher energy level. As electrons jump down to lower energy levels, they release energy in the form of light (photons). A nucleon is a proton or neutron. Carbon-14 has a total of 14 protons + neutrons. The experiment expected to see changes in the speed of light depending on the orientation relative to the ether. However, since there was no change in the patterns of light, this concludes that ether does not exist. While the car is in an inertial reference frame, the ball would be in a non-inertial reference frame. An inertial reference frame is any frame of reference in which Newton's 1st law (law of inertia) is true: an object remains at rest or in constant motion unless acted upon by a net force. The ball in the car is a non-inertial reference frame because if the car decelerated from constant motion, the movement of the ball relative to the car could not be explained with Newton's first law. The ball would appear to start to move inside the car with no apparent net force acting on it. ALL frames of reference use the speed of light in a vacuum, 3 × 108 m/s. The calculation of the speed of light in a vacuum (c) does not take into account the inertial reference frame (think: relative velocity). Basically, the speed of light is constant relative to all inertial frames of reference. In other words, non-inertial reference frames (reference frames that are accelerating relative to inertial reference frames) do not always have constant speed of light. Light years is a unit of distance. Length contraction of an object only occurs in the direction of motion of travel. It is the slowing down of time. Think of the space between each time unit as dilating or increasing, thereby increasing the time. As v increases, the time observed (to) increases. This is dilated time. The space traveller will actually have aged less than the people on Earth. (Think of the 'twins' thought experiment). A particle travels at 0.9c over a period of 1.2 seconds (to the observer at the particle). The particle starts at a distance of 10,000km away from Earth (to an observer on Earth). Determine the time in the Earth's reference frame based on the time in the particle's reference frame, (ta): As you can see the time is dilated (longer) to 2.75 seconds to people on Earth. Determine the length based on the length in Earth's reference frame (Lo): Calculate the new time from the particles frame of reference: As you can see the distance and time is shorter in the frame of the particle. What is lightest, a proton, neutron, or electron? Does the energy of a photon depend on the amplitude? What is an electronvolt (eV)? 1.0 eV is the work done in order to accelerate one electron through a 1.0 V potential difference. How can the electrons in an atom create light? Describe a wave-like property of matter. As an example, electrons can create diffraction patterns of fringes. Also, wavelength (λ) and frequency (f) can be calculated for electrons. Incident light/photons on a non-dielectric material can cause electrons to be emitted from the material. What is the work function? This is the threshold frequency used to calculate the KEmax of an emitted electron. The work function (φ) is the minimum, threshold work (energy) required for an electron to be released from a metal material. Higher frequency or lower wavelength of incident light would result in greater kinetic energy of photoelectrons. Describe how an electron can store quantum of energy. A quantum, or packet of energy is stored when a photon of light collides with an electron, causing the electron to move up to a higher energy level. The energy is stored as the negative electron is pulled apart from the positive nuclearcenter. How is the red-orange glow of hot metal explained by the photoelectric effect? The heat energy causes electrons to jump to higher energy levels. As the metal cools the electrons fall back down to lower energy levels, which releases energy in the form of photons/light, which you see as a warm glow. Is binding energy the same as the mass defect energy in the equation? A nucleon is a proton or neutron. For instance carbon-14 has a total of 14 protons + neutrons, or 14 nucleons. How is an inertial reference frame defined? Any reference frame in which Newtonian physics holds true. How is the movement of a crash test dummy in a crash considered a non-inertial reference frame? Well the car is in an inertial reference frame because as a force is applied to the car, the car will decelerate. But the dummy is in a non-inertial reference frame because the dummy would appear to be accelerating with respect to the inside of the car with no apparent contact forces on the dummy. Is light years a unit of time or distance? Time dilation is the slowing of time (or increase in time) for external observers of events traveling near the speed of light. Length contraction is the apparent decrease in length of an object or distance for an event near the speed of light. Note that length contraction always occurs in the same direction as the velocity. 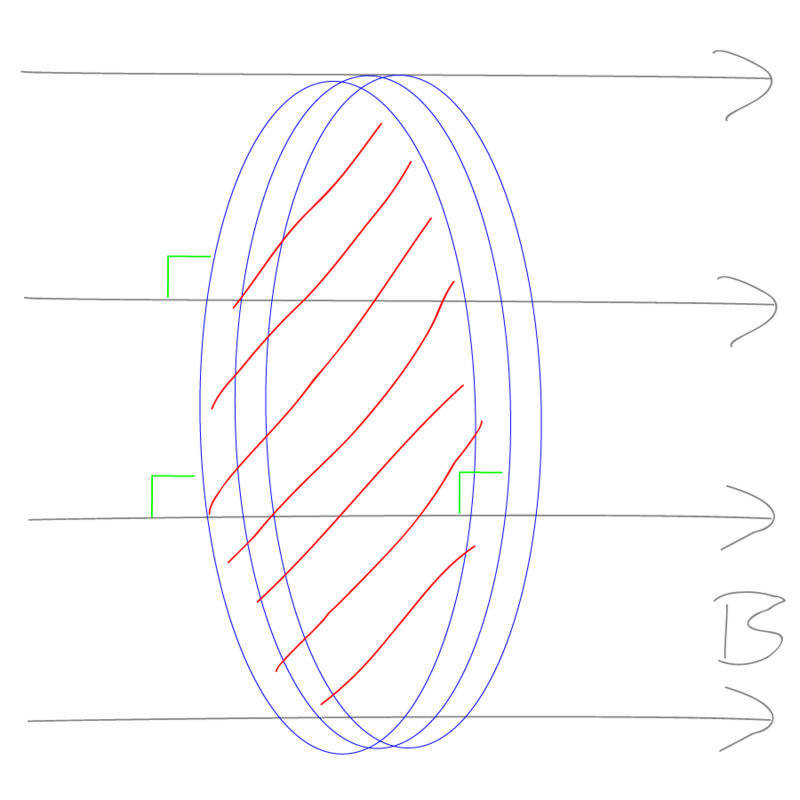 A coil experiences an induced current when the magnetic field passing through it varies. Flux φ is at a maximum when the area's normal is parallel with the magnetic field lines, the angle is zero. Which of the following is not equivalent to Faraday's Law? What happens when a magnetic field (B) passes through the center of a coil of wire? What is the unit of flux (φ)? Flux (φ) is at a maximum with what angle between the normal to the area and the magnetic field? When the angle is 0˚ and the field lines are parallel to the normal of the area (or perpendicular to the cross sectional area of the loop). Transformers use electromagnetic induction to generate a magnetic field in an iron core at the primary input side, which induces a current in a secondary coil. The power on each side is constant while the current and potential difference vary based on the number of coils on either side. Compare the number of coils on the primary versus secondary side of a step-down transformer. A step-down transformer reduces the potential difference. There are less coils on the secondary side of a step-down transformer. An object is charged with a total net of 100 electrons, given the elementary charge e = 1.6 × 10-19C. A flow of 10J of energy over a period of 4 seconds. 2A current across a 2V potential difference. 1A current across a 3Ω resistance. 4V potential difference across a 8Ω resistance. What units would fill the blank [ ] to give ohm Ω units on the left-hand-side? Resistance (R), rather than resisitivity (ρ) depends on both length and cross-sectional area. Answer the following questions using the approximate resistivity values given in the table below. Resisitivity values have been rounded for ease of calculations. This resistivity value corresponds to gold. Take the following as an example: A 15 gauge wire has a cross-sectional area of 1.65mm2. If 50mm of 15 gauge copper wire is used in a circuit with a potential difference of 120V, determine the current. This would mean the current is over 200 million Amps! Not possible! Capacitors store energy with an electric field created from charges accumulated on parallel plates. When a capacitor is connected to a source, the capacitor stores electrical charges on the plates. When the source is disconnected from a charged capacitor, then the capacitor releases the charges over time just like a source. Charges do not physically cross across the gap, which contains an insulator in addition to the natural insulative properties of air. Current does propagate through parallel plates as positive charges accumulate on the positive plate and repels the positive charges on the plate across the gap. This repellence causes the charges to move through the capacitor and through the circuit. Capacitors in parallel add like one big capacitor. Capacitors in series decrease the overall capacitance. (Side-note: Capacitors in series combine like resistors in parallel). The capacitor plates accumulate and store charges quickly at first, but as the charges on the plates increases, these charges repel the addition of new charges, so the charge accumulation slows over time. Surface area, and separation distance of the plates. The capacitor acts as a load as it accumulates and stores charges. When the potential difference source is removed from the circuit, the capacitor acts as the source. Pure water has a permittivity approximated 80 times higher than the permittivity of air (or a vaccuum). 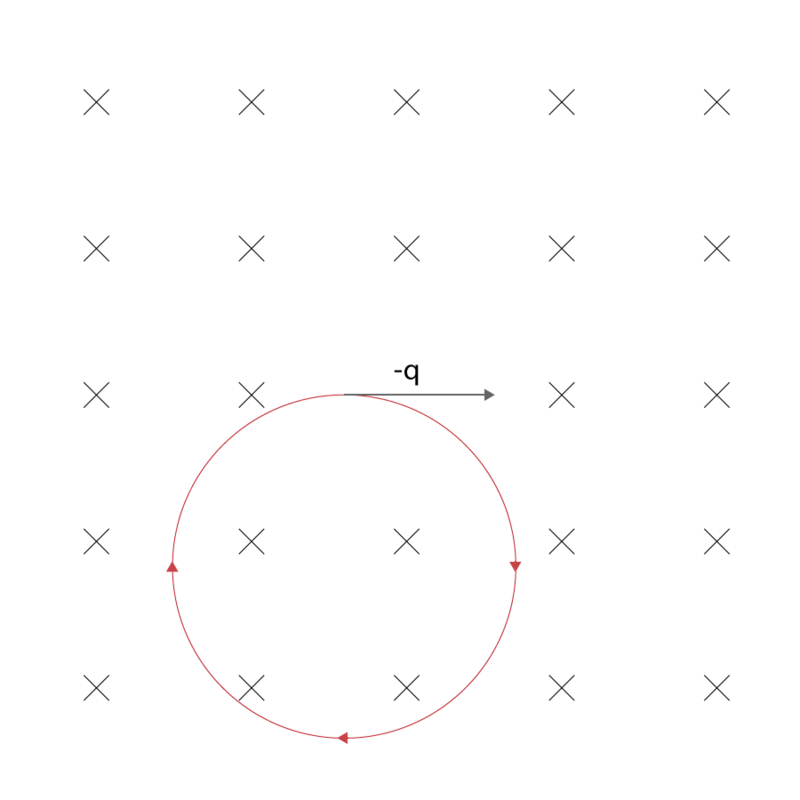 Area of a circle with radius = 1 cm. Increasing capacitance by a factor of 4 will increase charge by a factor of 4. A capacitor has an electric field between the parallel plates that depends on several factors including the separation distance of the plates and the dielectric material used between the plates. Charge on the plates is constant. Charges stay and do not change when the potential difference (V) is constant. Therefore electric field (E) doubles. A capacitor stores energy as the electric field created from charges on parallel plates. Yup, true. You may even use this. Which of the following is used in parallel circuits? All are correct. You should be able to do this and use these equations in different scenarios. Capacitors added in series decrease the equivalent (overall) capacitance. Three identical 5.0 mF capacitors are connected according the diagram below. The two capacitors in parallel equal 2 F.
The third capacitor could be changed with the following values: Note that the dielectric materials and area are not easy to change, and that decreasing the separation distance of the plates by a half would double the capacitance. What is the unit of Capacitance (C)? What is the main difference between AC and DC electricity? Is conventional current the flow of positive or negative charges? As a standard, conventional current uses the flow of positive charges. What is the Ohm's law equation? What is the difference between potential difference (V) and emf (ε)? While both quantities are measured in volt units, the emf is at a source while the potential difference is at a load. State the law of conservation of energy in circuits. Does adding resistors in parallel increase or decrease the total resistance of the circuit? Resistors added in parallel decrease the overall resistance. What electrical quantity is equal for all loads in series? Current (i) is the same for loads connected in series. Current splits off at junctions, and there are not junctions in series. What is power and what is the unit of power? Power is the change in energy over the change in time. The unit of power is the Watt (W). What is the unit of resistance (R)? Explain how length, cross-sectional area, and temperature affect the resistance in a wire. Longer lengths increase resistance, larger cross-sectional areas decrease resistance, and higher temperatures increase resistance. What is Kirchoff's Second Law? Around any loop in a circuit, the sum of the voltage drops at the loads must equal the sum of the voltage gains at the sources. When does a capacitor act like a source and release electrical charges into the circuit? When the potential difference of the capacitor is greater than the electromotive force (emf) of the source. What does the dielectric do in a capacitor? A dielectric is a non-conductive material (oil, ceramics, air...) that acts to decrease the amount of charges that jump between the two parallel plates. This insulator acts to increase the capacitance (C), or the total amount of charge (q) that can be stored for a given potential difference (V). Absolute pressure equals the sum of gauge pressure and atmospheric pressure. Pressure exerted anywhere in a confined fluid is transmitted equally to all points within that fluid such that external changes in pressure will be changed equally at all points in the container. The buoyant force on an object submerged in a fluid is equal to the weight of the fluid displace by the object. The pressure of a fluid is inversely proportional to the velocity of its flow. For an incompressible fluid flowing in an enclosed tube, the product of the velocity of flow and the cross-sectional area of the tube remains constant. Basically, pressure is spread equally in fluids. This is correct. To check you can finish with a pseudo-dimensional analysis of the units of each quantity like: True. Specific gravity is the ratio of the density of the substance to the density of water (at 4˚C). Since the density of water is 1.0 g/cm3 or 1.0 x 103 kg/m3, then the specific gravity is equal to the ratio of the density of the object divided by the density of water: (Notice that specific gravity has no units because they get cancelled. A hydraulic lift consists of two cylindrical pistons connected with a cable containing an incompressible fluid. When piston 'A' is pushed downward with a pressure of 100 Pa, the force exerted upwards on side 'B' is 1,000 N. The radius of piston on side 'A' is 4cm. Based on Pascal's principle, basically the pressure anywhere in a fluid is equal and changes in pressure are exerted everywhere equally. Get this! >> The change in volume is the same on either side! Volume of Cylinder = Base Area × Height The trade-off for being able to push down with only 100Pa to lift 1000N, is that the vertical height change of the 1000N force is quite low. A hydraulic lift has a smaller piston and a larger piston each 2cm and 6cm in diameter, respectively. Mechanical advantage is the ratio of output force to input force. wow you multiplied your force by 9 times, that's kind of impressive ! The submarine will be maxed when the force of gravity (Fg) equals the buoyant force (Fb). Gravity cancels. The submarine will be maxed when the force of gravity (Fg) equals the buoyant force (Fb). The masses are equal because the wood has displaced a volume of water with a weight equal to the weight of the wood. The masses are equal because the total densities become equilibrated to the same magnitude. The mass of the pail with the wood is greater because the total mass is greater. The mass of the pail with the wood is greater because the density is greater. A floating object has a buoyant force (Fb) equal to the weight of the fluid displaced. Or in other words, the mass of the object will have the same mass as the fluid spilled from the pail. The tension is ONLY due to the Fbuoy of the float, and not the Fg! Think of it like a rope and float attached to the bottom of the lake itself. A barrel 2.0m tall is filled with fruity Tropical Punch and set on a table 1.0m high. At the very bottom of the barrel, a spout is used for pouring the liquid. Use Bernoulli's equation. Assume v(1) top of reservoir = 0. Densities (ρ) cancel. Also P1 at the top surface of the reservoir, and P2 outside of the spout (spigot) are both considered to be open in air, equal to atmospheric pressure, so they are the same magnitude - thus they cancel. What is the symbol for density? Determine the density of a fluid that has a mass of 2kg and a volume of 1m3. What is the difference between absolute pressure and gauge pressure? Gauge pressure (ρgh) is the pressure in a fluid based on the depth, gravity, and density of the fluid. Absolute pressure is the gauge pressure plus the atmospheric pressure. Describe one factor that would increase the viscosity of a given fluid? Decreasing the temperature. This would bring the molecules of the fluid closer together as the molecular kinetic energy decreases. As a result, this increases the friction between the molecules. Specific gravity is the ratio of the density of the substance to the density of water (at 4˚C). The pressure everywhere in the hydraulic is constant. Therefore the ratio of force over area is also constant. A smaller force exerted over a smaller area can push a greater force distributed over a greater area. The trade-off with this greater force is it will move a smaller distance than the first distance. As the cross sectional area decreases, the velocity increases, etc. Gas particles generally have higher kinetic energies than particles in liquid or solid phase. Temperature units must be converted to Kelvin. 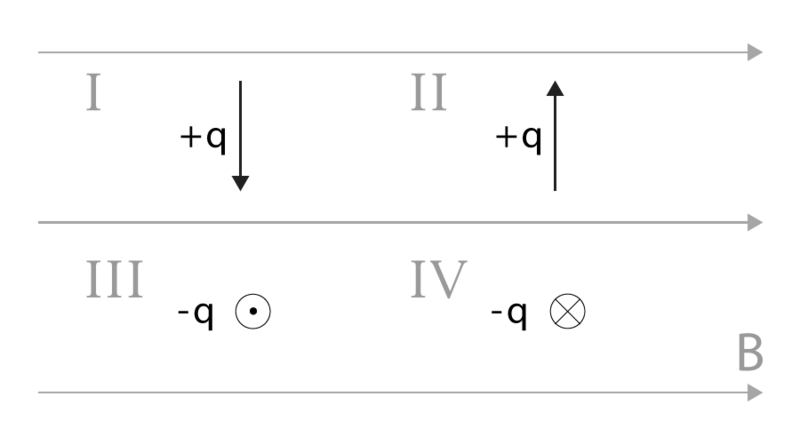 Notice that P-T and V-T have a linear relationship: The relationship between P and T is also linear : These relationships can also be explained with the combined gas law. Boyle's Law states that at constant temperature and amount of gas, the product of volume and pressure is constant because their relationship is inversely proportional (as one increases, the other decreases). 'k' is constant. P V = k ↑P ↓V = ~k A 'V—PV' graph would appear as a horizontal line (with a slope of zero). As V increases, P decreases by the inverse factor so PV is flat. A 34.5 g sample of an unknown gas is collected at room temperature (20˚C) and atmospheric pressure (101.325 kPa). The initial reading on a near-vacuum collection cylinder is 10 mL and the final amount once filled is 18,040 mL. For the following questions, the thermal expansion for iron is 11.8 × 10-6 K-1 and aluminum is 23.1 × 10-6 K-1. The energy in a system is defined by the heat added to the system and the work done on the system. Work done by the system decreases the internal energy of the system. What types of heat transfer come from open flame? Convection in the surrounding air masses and radiation in the form of visible light and other non-visible spectrums. Is work done on the system positive or negative? Entropy in an isolated system is either constant or increasing, but never decreasing. What would be the units of α, the coefficient of linear expansion? What is the unit of heat? What is heat of fusion? The change in heat (q) when a liquid is converted to solid (at a constant temperature). The change in heat (q) when a liquid is converted to gas (at a constant temperature). What is the pressure and temperature at STP? What two quantities are compared in Charles' Law? What two quantities are compared in Boyles' Law? Explain why increasing the amount of moles of an ideal gas increases the volume, even though ideal gas molecules are considered to have zero volume. Alpha (α) decay is the weakest of the decay types. Despite what you might think Gamma particles have the highest energy, but have the lowest ionizing radiation. Alpha particles (He2+) are the best ionizers and react on impact mostly at the surface of the material because they are so ionizing (forming negative or positive charges). Gamma rays have no mass because electromagnetic radiation, or light has no mass. High energy alpha particles, He2+ are capable of ionizing molecules (including DNA, proteins, sugars, metals, gases) to form negatively or positively charged particles in the body. Even more ionizing than higher energy gamma rays that pass right through. The He2+ alpha particle is very reactive because of its electron affinity. It will usually take two electrons from its surroundings (either one pair, or two electrons from different atoms), creating undesirable ions in other molecules in the body. These charged particles are extremely reactive and any reactions with cellular components can change or impair function, which can result in various diseases, including cancer. Scientists still have not fully understood the effects of ions in the body. Hopefully one day we will understand more. A stable product (element) will not decay radioactively and therefore the decay chain is stopped. Write the decay reactions for the following. Include neutrinos or antineutrinos where applicable. The rate of radioactivity cannot be influenced by temperature or other environmental factors. The reaction is spontaneous. The half life decay time does not depend on the initial mass of the substance. Random means we cannot predict which of the two 14C will decay first. Random also means we cannot pinpoint the point in time when any of the 14C atoms will decay (yes, even though we know the half life). 'A' stands for Activity, or Amount. Af is the final amount, and Ai is the initial amount. The Becquerels (Bq) unit is based on the rate of decay. It is measured as the number of decays per second. The total number of decays (counts) in 1.0 seconds is the amount of Becquerels (Bq). Radioactive decay of Uranium238 emits an alpha particle. Second: Balance the atomic and mass numbers on either side of the equation to determine the unknown numbers. Third: Look up on the periodic table the atomic number you just calculated and determine the identity of the element. Could use E = mc2, but the given information is a useful shortcut: 931.5 MeV = 1.0 u Convert to MeV 4.2849 MeV of energy is released, accounting for the difference in mass because the law of conservation of mass must be conserved. Energy can account for the missing mass! Iodine131 is known to decay via beta-negative decay. Iodine131 is can be detected in significant amounts at the site of the Fukushima Daiichi Nuclear Power Station accident in Japan (as a fission product of U235). Calculate mass defect this way... Convert to MeV 0.4192 MeV of energy is released, accounting for the difference in mass because the law of conservation of mass must be conserved. Energy can account for the missing mass! Nuclear transmutation can convert one type of element into another! This was performed by Rutherford in the early 1900s. Basically elements bombarded with alpha particles (He4) or protons (H1) will sometimes increase the proton number! Notice that mass number is conserved, and that atomic number is conserved across the left and right side of the equation. Neutrons are a product of either of the reactions. Well, fusion does occur in stars like the Sun, so technically it is possible. All elements in the universe were created in stars, out of Hydrogen. However, since fusion involves the combination of two nuclei with positively charged protons that repel, extremely high energy is required to bring the protons close enough to overcome the electrostatic repulsion of the nuclear forces. The control or explosiveness of a nuclear fission reaction depends on the number of neutrons produced in the fission reaction. If 1 neutron is produced then the reaction is "critical" and controlled. If 2 or more neutrons are produced, then the reaction is classified as "supercritical" and is explosive. U235 can fission more easily than U238. This means that upon the absorption of an extra neutron, U235 can release more energy. What is the lowest energy decay? This decay particle can be stopped by a thin sheet of paper. Do gamma rays affect the atomic number or mass number of the reactant isotope element? No, neither quantities change because gamma rays are electromagnetic and not matter/particles (with nucleons). Which of beta-positive (β+) or beta-negative (β-) decays reduces the atomic number of a parent isotope? The base level radiation detected in the air due to constant sources of nuclear energy like the sun, natural isotope decay, or the remnants of nuclear fallout. What is a decay chain? A decay chain is the conversion of isotopes into lighter isotopes as they decay, producing many different isotopes in a chain. The chain stops when a stable element is created. What type of decay is this, and what missing particle is formed? What is a Becquerel (Bq)? Becquerel is a unit of activity of a radioactive substance that is based on the number of decays per second. Is it possible to create new elements? Yes, this can be done through a special process called nuclear transmutation that collides elements with particles to make heavier particles. Also keep in mind that fission and fusion also create new elements. Fusion is the combination of two (or more) lighter elements to make a heavier element. Fission is the splitting of an atom into two (or more) lighter elements. Do fission and fusion both release neutrons and create energy? Do nuclear power stations use nuclear fission or nuclear fusion to generate electricity? Why is nuclear fusion not used to generate electricity? Even though nuclear fusion is capable of producing large amounts of energy, like on the Sun, there are no human-made examples that produce a greater amount of energy that what is put in. This is because the positively charged centers of atoms repel too much to combine to create net energy. Relative Error = (Absolute Error × 100%) ÷ Measured Value Measurements with the lowest relative error are the most precise. Calculate the value with its propagated uncertainty in each of the different scenarios.